The Health Information Act (HIA) is privacy legislation in Alberta that applies to the collection, use, disclosure and protection of health information that is in the custody or under the control of a custodian. Customers are always in control of how they manage and access their content stored on AWS. AWS does not have visibility into or knowledge of what customers are uploading onto its network, including whether or not that data is deemed subject to HIA legislation, and customers are responsible for ensuring their own HIA compliance. AWS customers can design and implement an AWS environment, and use AWS services in a manner that satisfies their obligations under HIA. The AWS Canada (Central) Region is currently available for multiple services, including Amazon Elastic Compute Cloud (Amazon EC2), Amazon Simple Storage Service (Amazon S3), and Amazon Relational Database Service (Amazon RDS). For a complete list of AWS Regions and services, visit the Global Infrastructure page. Canada Region pricing is available on the detail page of each service, which can be found through our products & services page. What is PIPEDA and what is HIA? What is the relationship between these laws? The Personal Information Protection and Electronic Documents Act (PIPEDA) is a Canadian federal law that applies to the collection, use, and disclosure of personal information in the course of commercial activities in all Canadian provinces. Certain Canadian provinces have also adopted their own general privacy laws for both the public and private sector, as well as privacy laws specific to personal health information. The Health Information Act (HIA) is the privacy law in Alberta that applies to the collection, use, disclosure and protection of health information that is in the custody or under the control of a custodian. “Health information” means one or both of the following: (a) diagnostic, treatment and care information; and (b) registration information. The term “custodian” includes health services providers, designated health professionals (e.g., doctors, nurses, etc. ), healthcare service delivery organizations (like hospitals, nursing homes, and ambulance operators) as well as other governmental bodies involved in the healthcare sector (like provincial health boards, regional health authorities and community health councils). Whether, and the extent to which, an AWS customer is subject to PIPEDA, HIA, or any other Canadian provincial privacy requirements may vary depending on the customer’s business. Other organizations may be subject to PIPEDA or provincial privacy laws as well. For more information about PIPEDA, please visit the AWS website here. Customers should consult their own legal advisors to understand the privacy laws to which they are subject. How can customers comply with HIA on AWS? AWS customers can design and implement an AWS environment, and use AWS services in a manner that satisfies their obligations under HIA. Customers that are subject to HIA may have to comply with requirements relating to the collection, use, disclosure and protection of health information. AWS gives customers control over how their content is stored or processed when using AWS services, including control over how that content is secured and who can access that content. AWS provides services that customers can configure and use to aid in the security of health information they store on AWS, and it is the responsibility of the customer to architect a solution that meets applicable privacy requirements. Note that there is no officially recognized “certification” for HIA compliance in the same way that an entity might be SOC, PCI, or FedRAMP certified or authorized. Instead, AWS offers its customers considerable information regarding the policies, processes, and controls established and operated by AWS. AWS provides workbooks, whitepapers, and best practice guides on our AWS Compliance Resources page and customers have on-demand access to the AWS third-party audit reports in AWS Artifact. Does AWS access health information that customers put on AWS? Customers are always in control of how they manage and access their content stored on AWS. AWS provides an advanced set of access, encryption, and logging features to help customers manage their access and content. AWS does not access or disclose customer content unless at the direction of the customer, or if necessary to comply with the law or a legally valid and binding order of a governmental or regulatory body having jurisdiction. Unless AWS is legally prohibited from doing so or there is a clear indication of illegal conduct in connection with the use of AWS services, AWS notifies customers before disclosing customer content so they can seek protection from disclosure. For more information, visit our Data Privacy FAQ. Does HIA prohibit an AWS customer from having data in transit or at rest outside of Alberta or outside of Canada? Customers should consult their own legal advisors when seeking to comply with privacy laws. HIA legislation may require custodians to put certain measures in place to protect health information in their custody or control such as administrative, technical and physical safeguards. 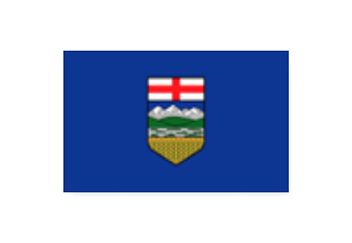 Health information that is to be stored, used, or disclosed outside of Alberta may be subject to certain obligations under HIA prior to such storage, use or disclosure outside of Alberta. It is the responsibility of each customer to determine whether transferring and storing data outside of Alberta or outside of Canada satisfies their security and privacy obligations under HIA. AWS customers should consider whether PIPEDA or the laws of any other Canadian provinces may apply, and review such laws for any data residency limitations. AWS customers choose the region(s) in which their content will be stored. AWS will not move or replicate customer content outside of the customer’s chosen region(s) without the customer’s consent. Does HIA require that health information be encrypted? Under HIA, there is no specific requirement to encrypt health information. However, entities subject to HIA are required to take steps to safeguard health information and it is the responsibility of each customer to determine whether encryption is appropriate to satisfy its security obligations. AWS recommends that health information always be encrypted at rest and in transit as a best practice. How can customers get information to complete a Privacy Impact Assessment in connection with using AWS? AWS makes available a wide range of materials to help customers understand the AWS environment and security controls. AWS provides customers with on-demand access to third-party audit reports (such as our SOC 1 and SOC 2 reports) in AWS Artifact. AWS also provides workbooks, whitepapers, and best practices on our AWS Compliance Resources Page about how to run workloads on AWS in a secure manner. How do customers implement auditing and logging of their environment on AWS? As part of the Shared Responsibility Model, customers should consider implementing auditing and logging across their AWS environment in a manner sufficient to meet their compliance requirements. AWS offers services that make scalable logging and log analytics architectures simpler to implement. AWS also has a variety of partners in the AWS Marketplace that provide security logging solutions. Refer to the AWS Security-Logging Capabilities page for more information on how to implement logging on AWS. Can you provide examples of other healthcare organizations in Canada utilizing AWS? You can read our latest blog about trends in Canadian healthcare. Information on healthcare compliance on the AWS Cloud can be found here.